Administrative Law Judge Richard T. Breen, Office of Administrative Hearings, Special Education Division, State of California, heard this matter in Lynwood, California on March 21 and 22, 2007. Nicole Hodge, Attorney at Law, represented Petitioner (Student). Student’s mother (Mother) attended the hearing on all days. A certified court interpreter translated the hearing into Spanish for Mother. Pablo A. Tagre, Attorney at Law, represented Respondent, Lynwood Unified School District (District). District Special Education Coordinator Linda Michel attended the hearing on all days. Student filed a Request for Due Process Hearing on December 15, 2006. On January 22, 2007, a request for a continuance was granted, and the hearing was continued to March 21, 2007. At sthe hearing, the parties requested, and were granted, permission to file written closing arguments. Upon receipt of written closing arguments, the matter was submitted and the record was closed on April 5, 2007. 1. Whether Student was denied a free and appropriate public education (FAPE) from December 15, 2004,1 to October 20, 2006 (the date of an individualized education program (IEP) implementing a new placement), because the District did not assess her in all areas of suspected disability, in particular, occupational therapy, adaptive physical education, and assistive technology, and failed to conduct a behavioral assessment. The IEP documents failed to include meaningful annual academic goals. Speech/language services should have been provided. A one-to-one classroom aide should have been provided because Student was a danger to herself and others. The proposed placement was not the least restrictive environment (LRE). 4. Whether the District violated Student’s procedural rights by failing to provide Student with IEP documents in Spanish from December 15, 2004, to December 15, 2006 (the date Student filed her due process complaint). Student contends that she was denied FAPE between December 15, 2004, and October 20, 2006, because the District did not assess her in the areas of occupational therapy, adaptive physical education, and assistive technology, and failed to conduct a behavioral assessment. The District disagrees, contending that at all times Student was assessed in all areas of suspected disability. Student further contends that she was denied FAPE between December 15, 2004, and October 20, 2006, because the IEP documents failed to include meaningful annual academic goals, speech and language services should have been provided, and a one-to-one classroom aide should have been provided because Student was a danger to herself and others. The District disagrees, contending that speech and language services were not required because Student’s skills in this area were consistent with her cognitive ability, that Student did not present any behaviors warranting a one-to-one aide, and that the IEP goals were proper. Student also contends that the October 20, 2006 IEP did not offer a FAPE, because speech and language services should have been provided, a one-to-one classroom aide should have been provided because Student was a danger to herself and others, and the proposed placement was not the LRE. The District disagrees, contending that speech and language services were not required because Student’s skills in this area were consistent with her cognitive ability and Student did not demonstrate any behaviors warranting a one-to-one aide. The District further contends that the October 20, 2006 placement was the LRE given that Student was not succeeding in her prior special day class placement with higher functioning peers. Student’s final contention is that the District violated her procedural rights by failing to provide IEP documents in Spanish from December 15, 2004, to December 15, 2006. The District disagrees, contending that Mother did not ask for such translations, and that regardless, any failure to provide translated documents did not result in a denial of FAPE, a deprivation of educational benefit, or interfere with Mother’s opportunity to participate in formulating the IEPs. 1. Student is a seven-year-old girl with Down’s Syndrome who resides within the geographical boundaries of the District. Student is eligible for special education under the category of mental retardation. 2. Student contends that she was denied FAPE because the District failed to conduct a behavioral assessment, as well as assessments in occupational therapy, adaptive physical education and assistive technology. In general, a school district is required to assess children in all areas of suspected disability prior to making an offer of FAPE. Once a child is receiving special education and related services, reassessments may be performed as needed to meet the child’s educational or related service needs. Absent an agreement to the contrary between a school district and a student’s parents, reassessments must not occur more than once a year, or more than three years apart. A procedural violation results in a denial of FAPE if it impeded the child’s right to a FAPE, impeded the parents’ opportunity to participate in the IEP process, or caused a deprivation of educational benefits. As discussed below, Student was assessed in all areas of suspected disability, such that no denial of FAPE occurred. 3. District bi-lingual speech and language pathologist Susan Dewey (Dewey) assessed Student upon her enrollment in the District in December of 2003. At the time, Student was three years and seven months old, but had an age-equivalent receptive language ability of one year, four months and an age-equivalent expressive language ability of one year, two months. Dewey did not recommend speech and language therapy as a related service because it would not be beneficial given Student’s level of development. Instead, Dewey recommended that Student’s speech and language needs could be met by placement in a preschool class that utilized techniques such as encouraging Student to imitate sounds and pairing spoken words to gestures and activities. Assistive technology was not recommended given Student’s low level of language functioning. Student did not produce any evidence at hearing to controvert Dewey’s findings and recommendations. 4. District school psychologist Carol Branham (Branham) assessed Student in November of 2003. Branham’s report reflects that Student had no prior school experience, had not learned to imitate or follow directions, and had not acquired the concept of sameness. Mother reported to Branham that Student responded to her name and could follow one-step directions, but was nonverbal. Student was able to run and climb, could mark on surfaces with a crayon, and assisted with dressing. Mother reported that when other children were near, Student would take their things and throw them away and that Student sometimes engaged in temper tantrums during which she fell backward and was in danger of hitting her head. 5. As of November 12, 2003, Branham determined that Student was functioning in the “mild range” of mental retardation but noted that Student’s “performance indicates significant and pervasive delays in almost all areas of functioning.” Branham noted that Student demonstrated strengths in physical development and self-help skills but that Student would likely have difficulty with language acquisition, learning pre-academic tasks, remembering what she saw and heard, and performing fine motor tasks. Student did not produce any evidence at hearing to controvert Branham’s conclusions. 6. Shannon Martin (Martin) taught Student during the 2004-2005 school year. Martin was credible in all aspects of her testimony, as demonstrated by her direct manner of answering questions and her refusal to speculate if she did not know or recall an answer. Martin did not think that Student required a one-to-one aide for behavioral issues because the three-to-one student to adult ratio in the classroom provided sufficient adult supervision for Student. Martin was unaware of any facts justifying a behavior intervention plan for Student. While Student was in Martin’s class, Student did not require a one-to-one aide, or a behavioral assessment. 7. The April 28, 2005 IEP reflects that at the time Student could consistently match three colors (red, yellow, green), and could match more with verbal prompts. However, Student was unable to identify pictures of common objects or show their functions, but could identify a telephone and a toothbrush with prompting. Student was playing more appropriately and would offer toys to other children. Student could run, jump, stand on her tip toes, and could hang, slide and climb on the play equipment. Student could hold a pencil correctly and snip with scissors. Student understood and followed the classroom rules. Student could independently pull her pants up and down, wash and dry her hands, eat and drink independently and put on her jacket and backpack with little assistance. Student was only capable of identifying one body part, her mouth, upon request without prompting. Student remained pre-verbal and used vocalizations and gestures to communicate. Student produced no evidence calling into question the accuracy of these present levels of performance. At the time of the April 28, 2005 IEP, there was no reason to suspect that Student required a behavioral assessment or that Student’s disability required assessments in occupational therapy, adaptive physical education, and assistive technology. 8. Steven Pittman (Pittman) taught Student during the 2005-2006 school year. Pittman’s opinions and observations regarding Student were credible in all aspects given his knowledge of Student and his ability to recall details about Student. Pittman’s credibility was bolstered by his direct demeanor. 9. Student did not have any behavior problems in Pittman’s class and Student did not need assistance with self-help. Student was capable of following the classroom routine without assistance. Student was adequately supervised in Pittman’s class and did not require a one-to-one aide. Student did not require a one-to-one aide for academics, as Student’s focus was not a problem, the curriculum included sufficient repetition, and an aide would not improve Student’s capacity to understand the material. 10. Pittman did not observe anything that would cause him to request an occupational therapy or behavioral assessment of Student. As to behavior, Student was not a danger to herself and was “definitely” not a danger to others. Pittman related that although Student sometimes put objects in her mouth, she could be redirected. Student did not pick up dangerous items like scissors. As to occupational therapy, Pittman related that Student could perform such activities as eating with a fork, opening her own milk and drinking independently. During the 2005-2006 school year, there was no reason to suspect that an occupational therapy or behavioral assessment was required or that a one-to-one aide needed to be provided. 11. While Student was in Pittman’s class, Pittman employed a picture schedule for all of the students. However, Student’s cognitive level at the time was too low for a picture exchange communication system (PECS) to be useful as a communication tool. Pittman explained that Student was not capable of recognizing her written name and that a sticker of a cat was placed next to Student’s written name so that by finding the sticker, Student would learn to find her name. After working with Student for months on this skill, Pittman attempted to remove the sticker symbol. When the sticker was removed from Student’s written name, Student was unable to find her written name. Student could not have benefited from assistive technology or augmented communication techniques such as PECS prior to and during the 2005-2006 school year. 12. An annual IEP team meeting was held on February 13, 2006. Assistive technology was discussed, but was determined not to be required at that time. Mother signed the IEP. 13. The present levels of performance in the February 13, 2006 IEP reflect that Student got along well with her classmates and could walk in a line without assistance. Student could walk, run, skip, jump with two feet, climb, hold a crayon and was learning to catch a ball with two hands. Student’s self-help skills at this time included feeding herself with utensils, drinking liquids with or without a straw, and removing a fork, straw and napkin from a plastic wrapper without assistance. Academically, Student could match eight out of eight colors or shapes when given an opportunity to choose from three colors or shapes, could identify seven out of fourteen body parts and could identify her written name with one prompt. No evidence was produced contradicting these levels of performance as of February 13, 2006. Accordingly, as of the date of this IEP, there was no reason to suspect that Student’s disability required assessments in occupational therapy, adaptive physical education or behavior intervention. 14. Student was assessed by licensed occupational therapist Amy Lynn Cress (Cress) on March 1, 2007, and March 16, 2007. Cress concluded that Student’s present fine motor, gross motor and self-help skills were commensurate with her cognitive ability. At most, Cress recommended that Student’s classroom as a whole be provided with more manipulatives and that desks be lowered to improve all of the students’ postures. Cress was credible because she did not attempt to speculate or answer questions that were outside her knowledge of Student. 15. Student was assessed for adaptive physical education (APE) by District APE specialist Kathleen Rickerl (Rickerl) on March 8, 12 and 13, 2007. Mother reported to Rickerl that Student could run, jump and catch a ball. Rickerl credibly determined that as of the date of her assessments Student did not require APE because Student does not have any significant motor deficits. Rickerl explained that her recent assessment of Student demonstrated that Student would not have required APE in the past because it was unlikely that Student had a sudden spurt in her level of physical functioning just prior to the APE assessment. 16. Student contends that she was denied a FAPE between December 15, 2004, and October 20, 2006, because her IEPs did not include meaningful goals in the area of academics. In general, a school district’s offer of FAPE must be set forth in an IEP, which, in addition to detailing the special education and related services that a child needs, must also contain a statement of measurable academic goals and a description of the manner in which the goals will be measured. Goals must meet the child’s individual needs that result from the child’s disability to enable the child to be involved in and make progress in the general curriculum and must meet each of the child’s other educational needs that result from the disability. As discussed below, at all relevant times, Student’s IEP contained meaningful academic goals. 17. The IEP in effect as of December 15, 2004, was the January 12, 2004 IEP that was formulated upon Student’s enrollment in the District. The IEP notes that Mother was provided with a copy of all assessments and a copy of the parent rights booklet. 18. The then-present levels of performance in the January 12, 2004 IEP reflect the information contained in Branham’s November 12, 2003 report and Dewey’s December 1, 2003 report. The January 12, 2004 IEP recommended that Student be placed in a District special day class (District SDC) and not in a general education class. Branham explained that because Student had not been in a school setting prior to her enrollment in the District, Student’s IEP goals as of December of 2004 would have appropriately included school readiness goals. Mother signed the IEP. 22. An annual IEP team meeting was held on April 28, 2005. At this meeting, the IEP team again recommended that Student remain in an SDC placement for 97 percent of the school day, with the remaining three percent of the school day in general education for school-sponsored activities, assemblies, recess, and breakfast. Martin proposed Student’s IEP goals by consulting with a special education alternative curriculum guide. Martin thought that Student’s goals were appropriate given Student’s cognitive abilities. Mother signed this IEP. 27. Student further contends that she was denied a FAPE from December 15, 2004 to October 20, 2006, because speech and language services should have been provided. In general, a local educational agency’s obligation to provide FAPE is met when a child receives access to an education that is designed to meet the child’s unique needs and confers some educational benefit. As discussed below, the lack of speech and language services from December 15, 2004, to October 20, 2006, did not deny Student a FAPE. 29. While in Martin’s class during the 2004-2005 school year, Student’s speech and language needs were met in the classroom given Student’s emerging language capabilities at the time. Martin’s classroom methodology included the use of visual cues and visual modeling in conjunction with verbal instruction. Martin recalled that Mother had requested speech and language services, but Martin did not think a speech and language assessment was required. 30. While Student was in Pittman’s class during the 2005-2006 school year, Student’s speech and language needs were met in the classroom. Although Student did not have specific speech and language goals, the classroom curriculum during the 2005-2006 school year was language-based and utilized modeling such as encouraging students to repeat phrases in the appropriate context. Pittman recalled that Mother requested speech and language services. Student was observed in class and assessed in the speech and language room. An IEP addendum dated March 28, 2006, reflected that Student would not benefit from speech and language services at that time because Student’s speech and language functioning was commensurate with her cognitive ability. No evidence was produced at hearing to contradict this finding. Mother signed the IEP addendum indicating agreement. 31. Student’s final contention regarding the provision of FAPE from December 15, 2004, to October 20, 2006, is that the District denied her a FAPE by not providing a one-to-one classroom aide because Student was a danger to herself and others. In general, self-injurious or assaultive behaviors may lead to a behavior intervention plan being included in a child’s IEP. The failure to develop and implement a behavior intervention plan may result in a loss of the educational benefit required as part of the provision of a FAPE. 32. As discussed in Factual Findings 4, 6, 7, 9, 10, and 13, although Mother had reported to school psychologist Branham in November of 2003 that Student was not aware of dangers in the community and had difficulty interacting with other children, no evidence was produced at hearing demonstrating that Student had these behavior problems in school between December 15, 2004, and October 20, 2006. To the contrary, Student was well-behaved in school such that a one-to-one aide was not required. 33. An IEP team meeting was held on October 20, 2006, to consider moving Student’s placement to the severely handicapped class run by the Los Angeles County Office of Education (the LACOE placement). The District’s SDC placement used a curriculum that was tied to state standards and Student had not been making progress in the District’s SDC. The October 20, 2006 IEP called for a 30-day trial period in the LACOE placement beginning October 26, 2006, using Student’s existing goals and services, after which time another IEP team meeting would be convened. Student contends that the October 20, 2006 IEP was not an offer of FAPE because speech and language services should have been provided. As discussed above, FAPE generally means special education and related services that are designed to meet the child’s unique needs and that provide a child with access to an education that confers some educational benefit. 34. Factual Findings 3, 29 and 30, demonstrate that prior to the October 20, 2006 IEP team meeting, Student had been provided with a FAPE, despite not receiving speech and language therapy as a related service. 35. George Ayo-Ariyo (Ayo-Ariyo) was the teacher in the proposed LACOE placement. Ayo-Ariyo taught Student beginning January 18, 2007, and was Student’s teacher as of the date of the hearing. Ayo-Ariyo’s observations and opinions regarding Student were credible given his forthright and concerned demeanor and his recent work with Student. 37. LACOE speech and alternative communication specialist Mary Bergman (Bergman) assessed Student on March 12, 2007. Student’s current age-equivalent level of receptive language is one year, six months, up from the one year, four month score Student achieved during Dewey’s assessment in December of 2003. Student’s current age-equivalent score in expressive language is one year, four months, up from the one year, two month score Student achieved during Dewey’s assessment in December of 2003. Student’s language abilities are typical of a child who is just beginning to use language. 38. Bergman concluded that Student would not benefit from speech and language services at the present time. Student’s current language functioning is consistent with her level of cognitive development. According to Bergman, cognitively impaired children learn better in an “authentic” environment like the classroom, and there was nothing that a speech and language therapist would do in a clinical setting that was not already being done in the classroom. Bergman noted that Student does not yet have a sufficient foundation for greater language ability. Bergman did not think a lack of specific speech and language goals in Student’s prior IEPs would have made a difference because speech and language was part of the curriculum in Student’s special education classes. Overall, Student’s speech and language delays are related to Student’s cognitive impairment and not to lack of access to appropriate special education. Student did not require speech and language services as of the October 20, 2006 IEP. 39. Student contends that the October 20, 2006 IEP was not an offer of FAPE because it did not provide for a one-to-one classroom aide to address Student being a danger to herself and others. As discussed above, a failure to provide a behavior intervention plan for self-injurious or assaultive behaviors may result in a denial of FAPE. 40. According to Mother, Student generally did not fight with other children. Mother observed one incident in school during the fall of 2006 when Student grabbed a pencil and appeared to want to fight. However, Mother did not think this incident involved Student being aggressive, but instead was a behavior Student engaged in that involved taking things from other people. Mother’s testimony, and the observations of Student’s teachers in the District SDC (Factual Findings 6, 7, 9, 10, 13, and 32) demonstrate that Student was not a danger to herself, or others, as of October 20, 2006. 41. Ayo-Ariyo felt that Student did not require a one-to-one aide in his classroom because the student-to-teacher ratio was two-to-one, and Student had some independent skills that might be lost if Student became reliant on an aide. Based on Ayo-Ariyo’s experience with Student, he saw no reason to have a behavior intervention plan for her. 42. Student also contends that the October 20, 2006 IEP was not an offer of FAPE because the proposed placement was not the LRE. In general, a child who is eligible for special education must be educated in the LRE, with removal from the regular education environment occurring only when the nature or severity of the student’s disabilities is such that education in regular classes with the use of supplementary aids and services could not be achieved satisfactorily. As discussed below, the LACOE placement was the LRE for Student. 43. At the time of October 20, 2006 IEP, Ayo-Ariyo gave Mother a tour of his class and showed her the programs that he used. Mother did not voice any objection to the proposed placement to Ayo-Ayiro or at the October 20, 2006 IEP team meeting. Mother signed the October 20, 2006 IEP, indicating her consent. 44. Mother had observed the LACOE placement at a time when there was only one teacher working with two students who had physical disabilities. Mother perceived that Student did not belong in the LACOE placement because the students there were lower functioning than Student. On the advice of her attorney, Mother withdrew Student from school before the LACOE placement could be implemented. 45. Student eventually entered the LACOE placement on January 18, 2007. At hearing, Mother expressed that it was a mistake to withdraw Student from school because Student is making progress with Ayo-Ariyo and missed out on educational opportunity by withdrawing. Prior to the LACOE placement, Student did not want to go to school, but now goes willingly. Mother described Student as being “in good hands” in her current placement and related that as of the date of the hearing, Student was making progress both behaviorally and in her use of expressive language. Student’s use of language was increasing and Student was now drawing with a pencil. Mother felt that Student was adequately supervised. 46. Student was on the same cognitive level as some of her classmates in Ayo-Ariyo’s class. The academic content of Student’s prior placement would have been too difficult for her. Ayo-Ariyo believes that Student “fits in” well in his class. 47. The LACOE placement is located inside Student’s school of residence. The October 20, 2006 IEP called for Student to be outside the regular education environment for 85 percent of the day and in the regular education environment for 15 percent of the day. At all times prior to the October 20, 2006 IEP team meeting, Student was placed in an SDC, with the maximum amount of time outside of the SDC designated as 7.5 percent in the February 13, 2006 IEP. 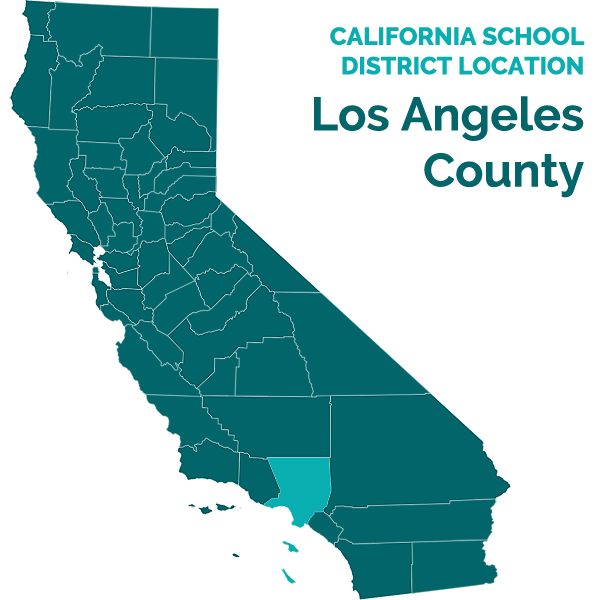 Student offered no evidence that the District SDC was less restrictive than the LACOE placement. The only difference between the two special education classes is the cognitive level of the special education students, which does not prove that one placement was more restrictive than the other. The LACOE placement was the LRE for Student because the October 20, 2006 IEP called for more time to be spent outside of the special education environment than had been specified in prior IEPs and there was no evidence that the District SDC consisting of special education students was less restrictive that the LACOE placement consisting of special education students. 48. Mother’s final contention is that her procedural rights were violated because IEP documents were not translated into Spanish. Generally, local educational agencies are required to provide an interpreter at IEP meetings for parents whose native language is other than English. California specifically mandates that IEP documents shall be translated into the parents’ primary language upon request. Generally, a procedural flaw is only a denial of FAPE if it results in the loss of educational opportunity for the child or seriously infringes the parents’ opportunity to participate in the IEP process. 49. The IEP documents presented as evidence at the hearing were in English, which might support an inference that documents were not provided in Spanish. However, Mother did not recall whether the District’s November 12, 2003 assessment or the October 20, 2006 IEP was provided to her in Spanish. Mother testified that so many documents were provided to her that she did not know which ones were provided in Spanish. No evidence was presented that Mother ever requested that the District translate any IEP documents into Spanish. Mother failed to meet her burden of showing that the District deprived her of her procedural rights by not providing documents in Spanish because Mother was unable to offer specific testimony on this point and there was no evidence that Mother had ever made a request for translated documents. 50. All IEP team meetings were translated into Spanish for Mother. Mother did not offer any testimony that her ability to participate in the IEP process was impaired in any way. No testimony was offered that Student lost educational opportunity because IEP documents were not provided to Mother in Spanish. Even assuming a procedural violation occurred, Mother did not meet her burden of proving that the procedural violation resulted in a deprivation of educational benefit or interfered with Mother’s ability to participate in the IEP process. 6. School districts are required to provide each special education student with a program in the LRE, with removal from the regular education environment occurring only when the nature or severity of the student’s disabilities is such that education in regular classes with the use of supplementary aids and services could not be achieved satisfactorily. (20 U.S.C. § 1412(a)(5)(A); Ed. Code, § 56031.) In Sacramento City Unified School District v. Rachel H. (9th Cir. 1994) 14 F.3d 1398, 1404, the court established a four-part test that provides guidance on the question of whether a placement is in the least restrictive environment. The four factors are: 1) the educational benefits of placement full time in a regular class; 2) the non-academic benefits of such placement; 3) the effect the child will have on the teacher and other students in the class; and 4) the cost of mainstreaming the child. 14. Factual Findings 3 through 15, and Legal Conclusions 1, 3, 7, 8, 9, and 13, demonstrate that Student failed to meet her burden of demonstrating that she was not assessed in all areas of suspected disability during the relevant time frame. There was no reason to suspect that Student required assessments in occupational therapy and adaptive physical education given the numerous examples that Student possessed appropriate fine and gross motor skills. Similarly, an assistive technology assessment was not required because Student’s cognitive functioning was not yet at a level where substitutes for verbal communication could be mastered. Finally, no evidence was presented demonstrating that Student was a danger to herself or others in the school setting. Accordingly, no behavior assessments were required because Student’s behavior did not impede her learning or that of others. 15. Factual Findings 16 through 26, and Legal Conclusions 1, 4, 5, 10, and 13, demonstrate that Student failed to meet her burden of demonstrating that she was denied a FAPE from December 15, 2004, to October 20, 2006, because her IEPs failed to include meaningful goals and objectives in the area of academics. Student did not produce any evidence that the goals in her IEPs were inappropriate given her cognitive level and lack of prior school experience. Although the goals appear rudimentary if viewed out of context, the goals were appropriate for Student, particularly where the evidence showed that Student struggled with goals like name recognition. Moreover, on their face, the IEP goals at all times contained sufficient benchmarks such that Student’s progress could be measured. 16. Factual Findings 28 through 30, and Legal Conclusions 1, 4, 5, 8, and 13, demonstrate that Student failed to meet her burden of demonstrating that she was denied a FAPE from December 15, 2004, to October 20, 2006, because speech/language services were not provided. The evidence showed that Student’s speech and language needs were being met in the classroom setting and that other speech and language services were not required at the time, particularly when Student was developmentally at a point where speech and language skills were just beginning to develop. Accordingly, FAPE was provided because the District’s placement was designed to meet Student’s needs and was reasonably calculated to provide some educational benefit. 17. Factual Finding 32, and Legal Conclusions 1, 4, 5, and 7, demonstrate that Student failed to meet her burden of demonstrating that she was denied a FAPE from December 15, 2004, to October 20, 2006 because a one-to-one aide should have been provided. No evidence was produced that Student was a danger to herself or others, and to the contrary, Student’s teachers testified that Student followed the classroom routine, was adequately supervised and had the self-help skills necessary to function in the school environment. 18. Factual Findings 33 through 38, and Legal Conclusions 1, 4, 5, 13, and 15, demonstrate that Student failed to meet her burden of demonstrating that she was denied a FAPE after October 20, 2006 because DIS speech and language services were not included in the IEP. The evidence showed that Student’s speech and language needs could be met in the classroom setting and that other speech and language services were not required, particularly when Student was developmentally at a point where speech and language skills were just beginning to develop. 19. Factual Findings 40 and 41, and Legal Conclusions 1, 4, 5, 7 and 16, demonstrate that Student failed to meet her burden of demonstrating that she was denied a FAPE after October 20, 2006, because a one-to-one classroom aide was not provided. No evidence was produced that Student was a danger to herself or others such that a one-to-one classroom aide was required, and to the contrary, Student’s teachers testified that Student followed the classroom routine, was adequately supervised and had the self-help skills necessary to function in the school environment. 20. Factual Findings 43 through 47, and Legal Conclusions 1, 5, 6 and 13, demonstrate that Student failed to meet her burden of demonstrating that the LACOE placement offered in the October 20, 2006 IEP was not the LRE. Moving Student from the District SDC to the LACOE placement was not a change to a more restrictive environment, given that neither class was a general education setting, the student to teacher ratio was roughly the same in both placements, and the October 20, 2006 IEP called for more time in the general education environment. 21. Factual Findings 49 and 50, and Legal Conclusions 1, 11, and 12, demonstrate that Student failed to meet her burden of showing that her procedural rights were violated by the District’s failure to provide IEP documents in Spanish. At hearing, Mother could not recall which documents, if any, were not provided in Spanish and there was no testimony as to whether Mother asked for particular documents to be translated. Moreover, there was no evidence that even if such a procedural violation occurred that Student was denied FAPE, lost any educational opportunity, or that Mother’s ability to participate in the IEP process was in any way impeded, particularly where all IEP team meetings had been translated into Spanish.